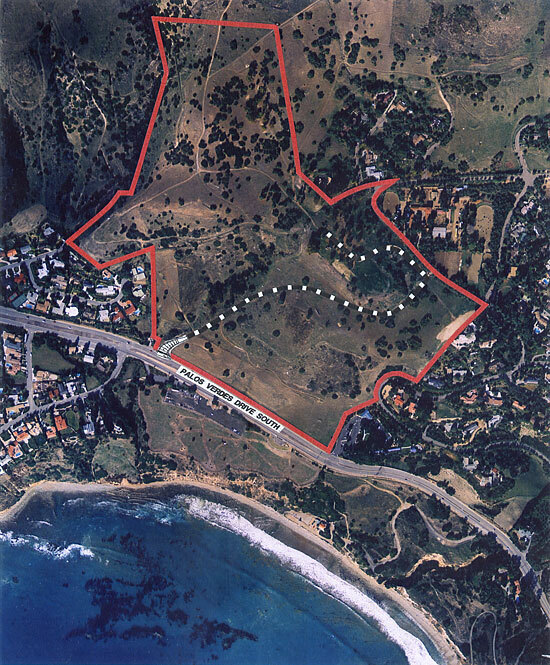 Photo of 94-acre Point View property from the sky. The red line outlines the property borders and the on property access road is indicated by the dashed black and white line. © 2007-2018 York Long Point Associates, L.P.